Since 2004, each year Lamy has produced at least one special colour for its popular Safari model, and this is now a special annual event. In this article we list the special Safari colours and highlight some differences between these and regular production models. These special Safari colours are usually announced at Paperworld in Frankfurt in January and launched in April of each year and are only available for retailers to buy for a couple of months before production quantities are exhausted. What's so special about the Lamy Safari? The Lamy Safari is probably the best school pen available today. It has a tough ABS body, a simple cartridge filling system and is available with a wide choice of nibs. 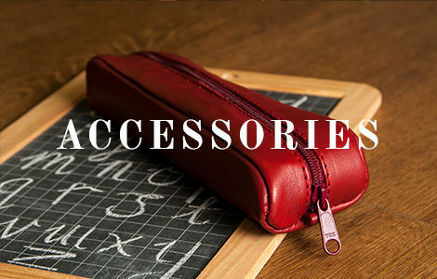 It was designed to be completely fit for purpose: a pen that will withstand the rough and tumble life of a school age child's everyday writing equipment. We'd even go as far as to suggest that the Lamy Safari is the best budget fountain pen produced today. 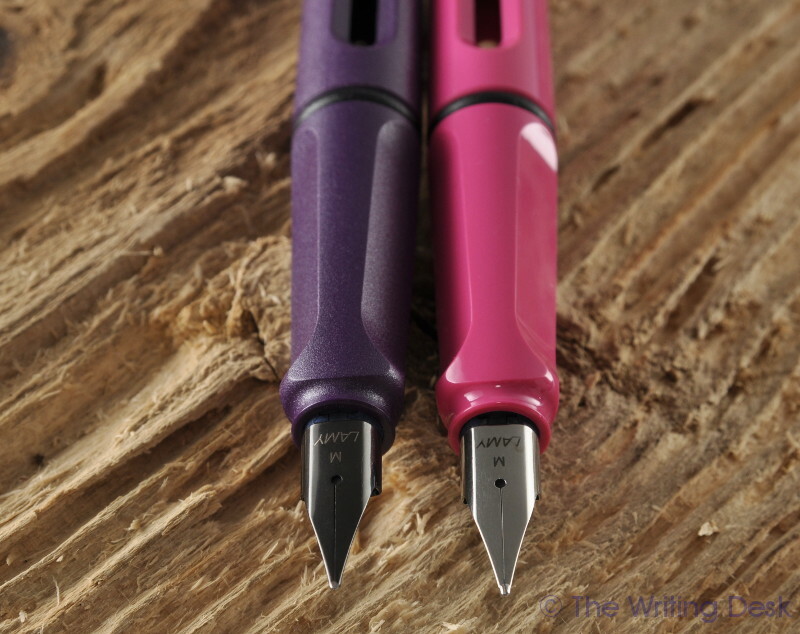 The triangulated grip of the Lamy Safari guides young writers hold the pen so that the nib is in the correct position relative to the paper. Its size is just right for a comfortable grip in both small and large hands and the light weight keeps writing fatigue to a minimum. A strong wire-hoop pocket clip completes the picture and this will ensure that the holder's precious pen stays securely attached to bag or pocket. From 2014 onwards, a matching ink has been available in T10 cartridges and in 2016 (export markets only, not UK) and 2017 special bottles of ink were also produced alongside the cartridges. 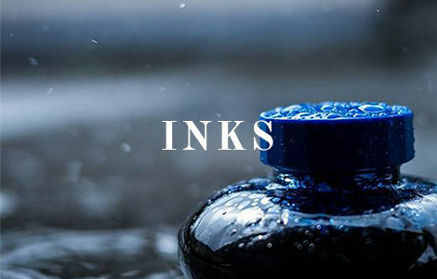 These special colour inks are very sought after, particularly in the T52 ink bottle. Shock horror! 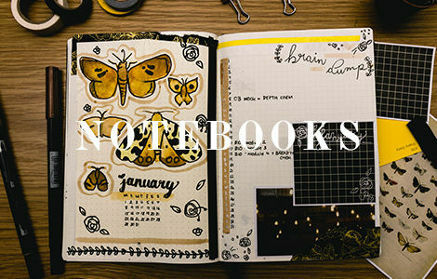 A Special Edition turns into a regular catalogue item. The special editions for 2007 were gloss black and (gloss) white (not pictured). 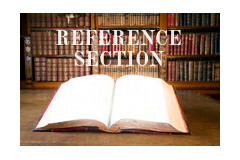 Both these colours became regular editions in 2008 and 2010 respectively. Later, in early 2014, the Pink Safari reappeared as regular production but this time with a black cross on the end of the cap. A couple of years on, in 2016, the Apple Green Safari comes back but this time with a black cross cap end rather than the green cross cap end of the 2012 Apple Green Safari SE. Most Safari Special Edition colours have had shiny gloss finishes, like the regular edition red, blue and yellow Safaris. There was a light grey version of the Safari that was produced prior to the 2004 blue/red Safari that had a matt "grain" finish like the Umbra - or Charcoal - Safari (model 17). However, until the Dark Lilac Lamy Safari of 2016 all Safari models have had a smooth gloss finish. The two original Lamy Safaris launched in 1980 were both textured finishes. Some suggest that the textured plastic stands up to wear and abuse better than the gloss finishes. 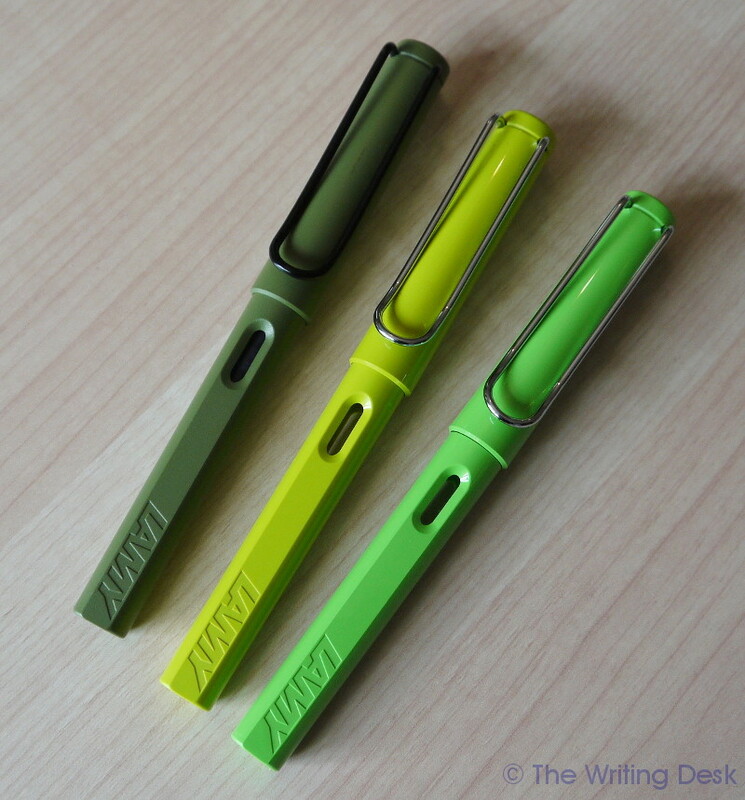 Lamy's approach has always been to match nib colour to clip colour, for both the Safari and Lamy Al-Star ranges. Therefore, all the special colour Safaris pictured above have plain steel coloured nibs to match their clips, with the exception of the Dark Lilac Safari of 2016 and Petrol Safari of 2017. The odd one out, of course, is the blue Safari with the red clip. Lamy has never produced a red nib so this model came equipped with a black nib. 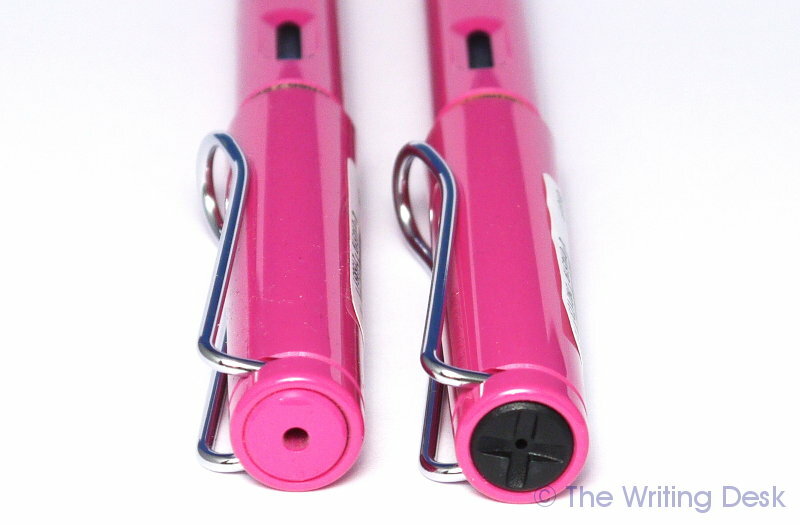 All Safaris have the Lamy Z50 nib, a part which is shared with most other Lamy fountain pens. 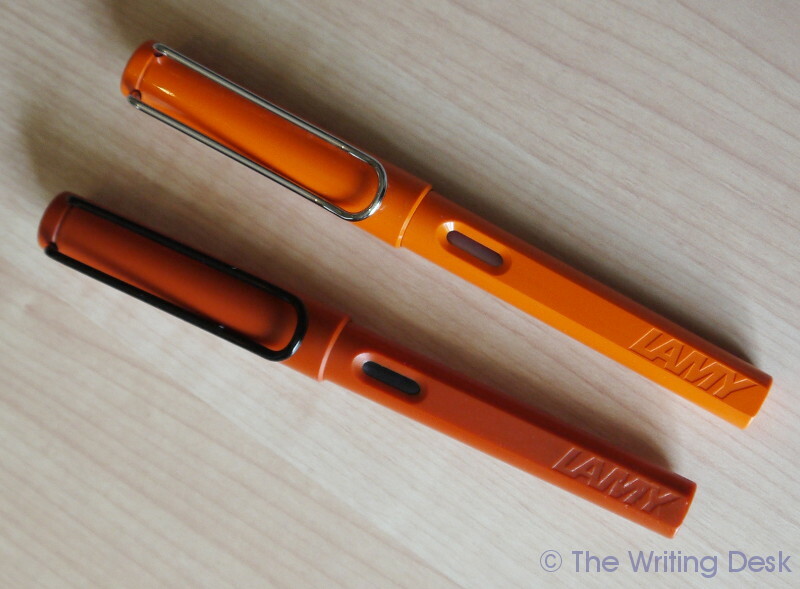 Original Lamy Safaris in Savannah and Terracotta now change hands for the sort of sums that would buy you a high end fountain pen like a Pelikan or Sailor. More recent Safari annual colours are not yet in that league but a 2008 Safari Lime or 2009 Safari Orange can now fetch several times its initial purchase price. Many unscrupulous sellers exploit buyers by charging heavy premiums on pens that are either still generally available or else are coming to the end of their supply but can easily be found at the normal price on many authorised retailers' websites or in their showrooms. 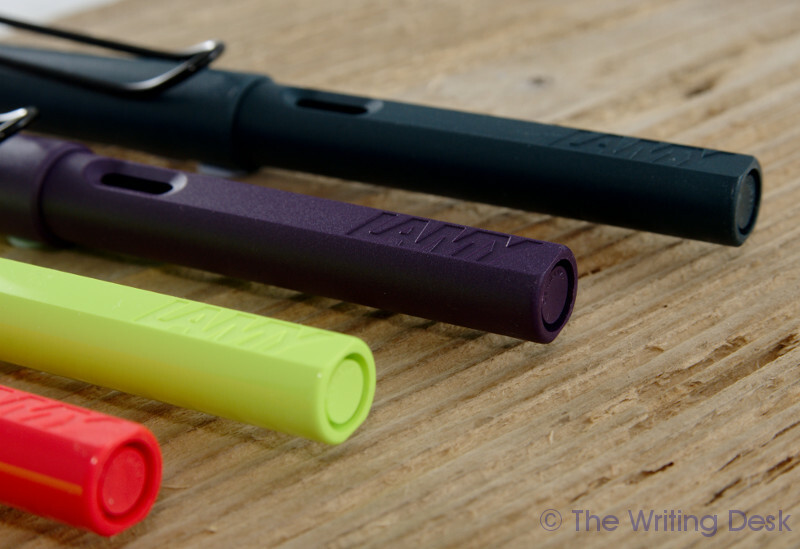 One fact to point out is that, in Europe at least, Lamy only sells to retailers with a proper shop or showroom. 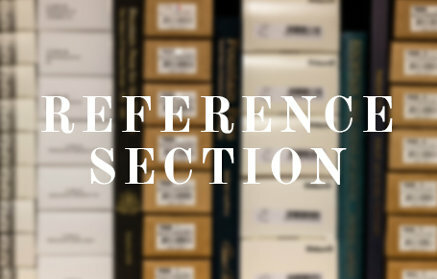 If you come across an on-line dealer and you don't see photos of their showroom on their website then the Lamy pens they stock could be unauthorised grey imports, so buy elsewhere. 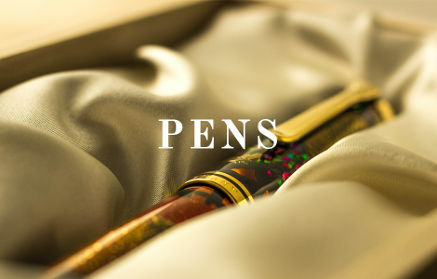 Whether to keep a new pen pristine and unused whilst speculating on its possible future value is always a hot topic amongst pen enthusiasts and collectors. Our advice? Just use and enjoy your pen (but of course look after it like like you would any or your possessions). If, in a few years time, it's worth as much or more than you paid for it then just consider that a bonus!